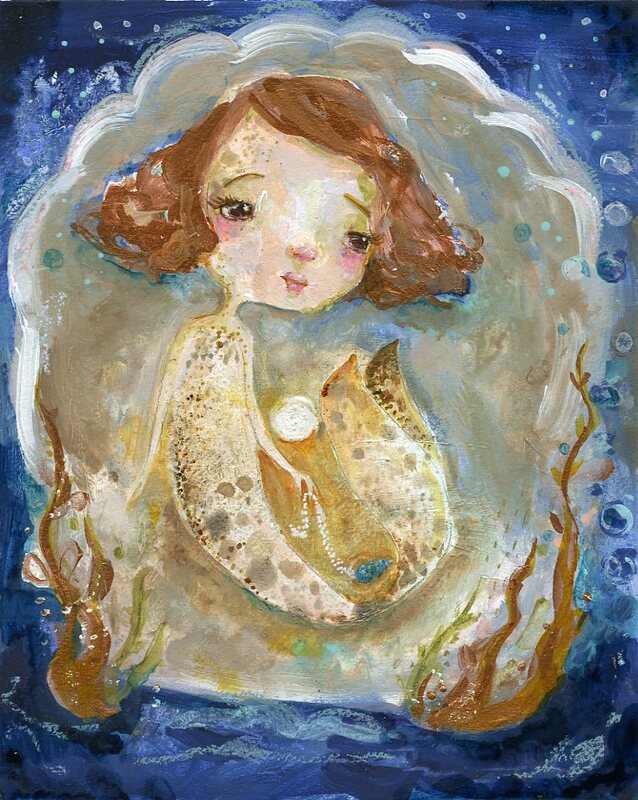 I am having so much fun with mermay this year. I had no idea of this challenge until I saw it going around instagram and at the last minute decided to jump in and create mermaids this month! 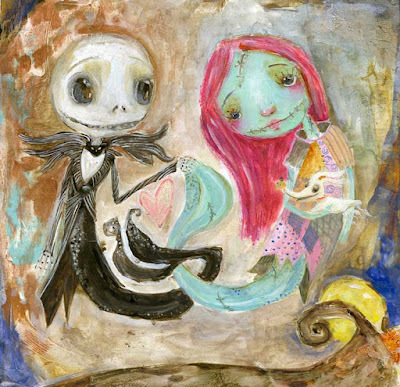 My mermaid that I've been working on the last few days is a Jack and Sally mermaid couple. 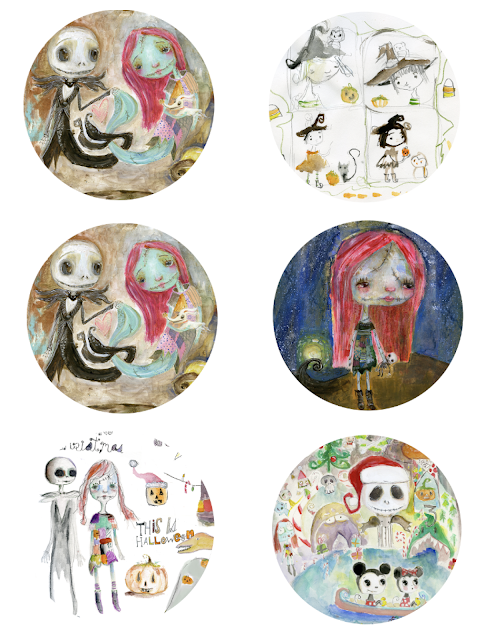 After doing a Leia mermaid, my mind began swirling with ideas (and since I love jack and sally so much) I just had to paint them. The original sold almost immediately after listing it...I think just a few minutes. But I do have prints and stickers available in the shop!